Encourages Proper Circulation - Blood circulation around the lower thighs can be impeded when a person is sitting on a seatpan without sufficient support for the lower legs and feet. 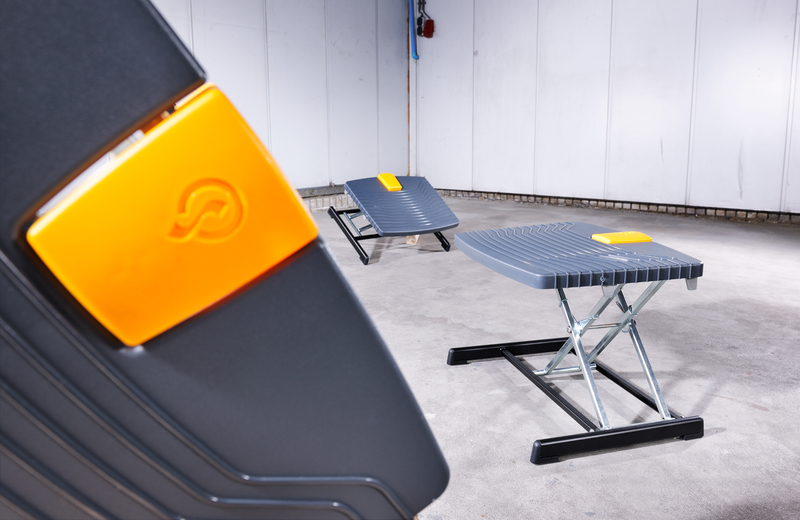 The weight of the lower legs and feet can create a pinch point towards the front of the seatpan, and this has the potential to reduce blood flow in the lower thighs, resulting in pain and fatigue in the lower thighs and legs. This often happens when the chair is too high. 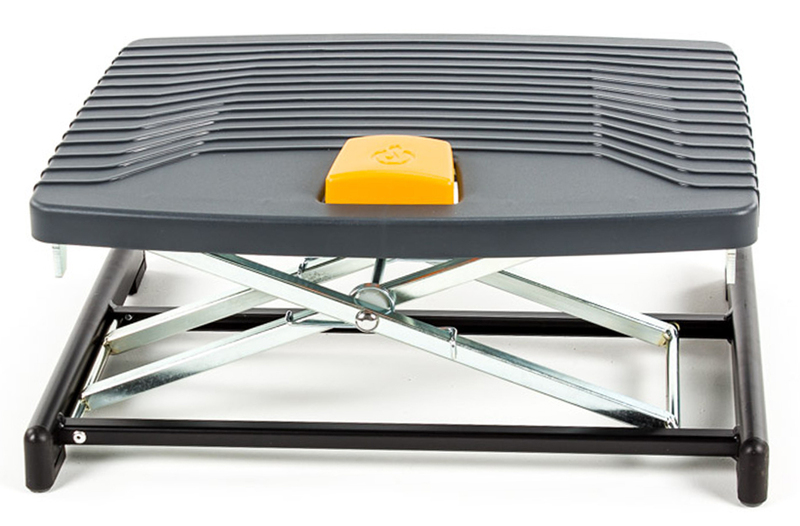 The Pro 959 Footrest can eliminate this strain by providing a suitably elevated platform that reduces the potential for restrictive pressure, allowing blood to circulate better throughout the legs and feet. Reduces Strain on the Foot and Ankle - Many office workers sit with one foot forward of the other, putting the foot into a position called plantar flexion. Plantar flexion shortens the muscles of the backs of the legs. Over time, sustained plantar flexion can cause the calf muscles to become tight and stiff which, in turn, can lead to a range of uncomfortable symptoms in the foot. 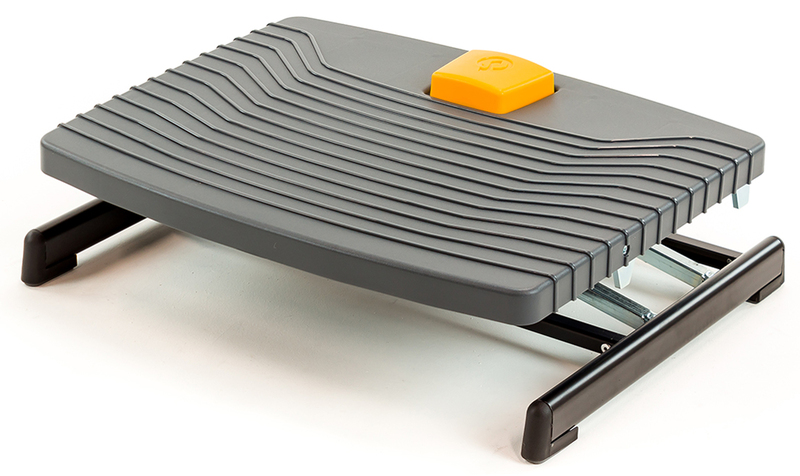 The non-locking platform on the Pro 959 Footrest permits users to flex the ankle joint easily back and forth. This healthy movement at the joint can reduce strain caused by sustained plantar flexion, or sustained dorsiflexion. The frequent small movements also promote better circulation, helping to reduce the risk of blood clots and varicose veins. Improves Upper Body Posture - The Pro 959 Footrest provides users with a stable and supportive surface that encourages them to correctly utilize the back of their chair rather than "perching" on the front edge of their seat. This improved posture can reduce the risk of upper back, shoulder and neck pain. The adjustable height on the Pro 959 ensures that even those of shorter stature can reap these benefits. 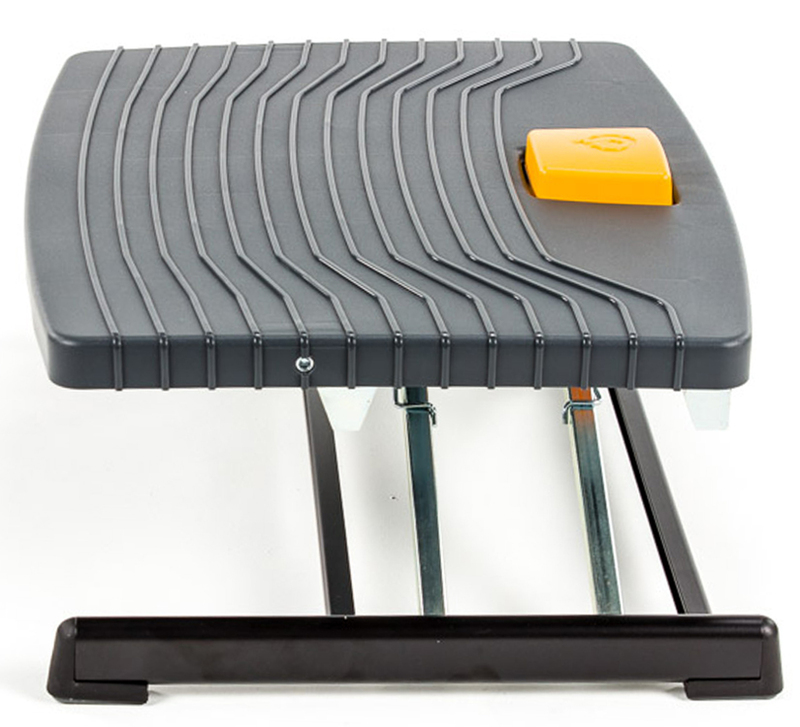 Discourages "Passive" Sitting - The non-locking platform on the Pro 959 Footrest encourages users to actively flex and move the feet and ankles throughout the day. Wide Range of Height Adjustment: With an adjustment range from 3.5" to 14.5" the Pro 959 Footrest is able to meet the height needs of virtually all users. 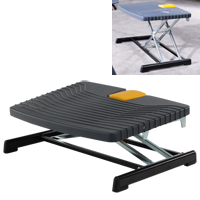 Extra Large Platform: At over 19" in width and almost 16" deep, the platform on the Pro 959 Footrest offers sufficient space for feet of all sizes. Non-Slip Surface: The Pro 959 has a textured surface to keep feet securely positioned. 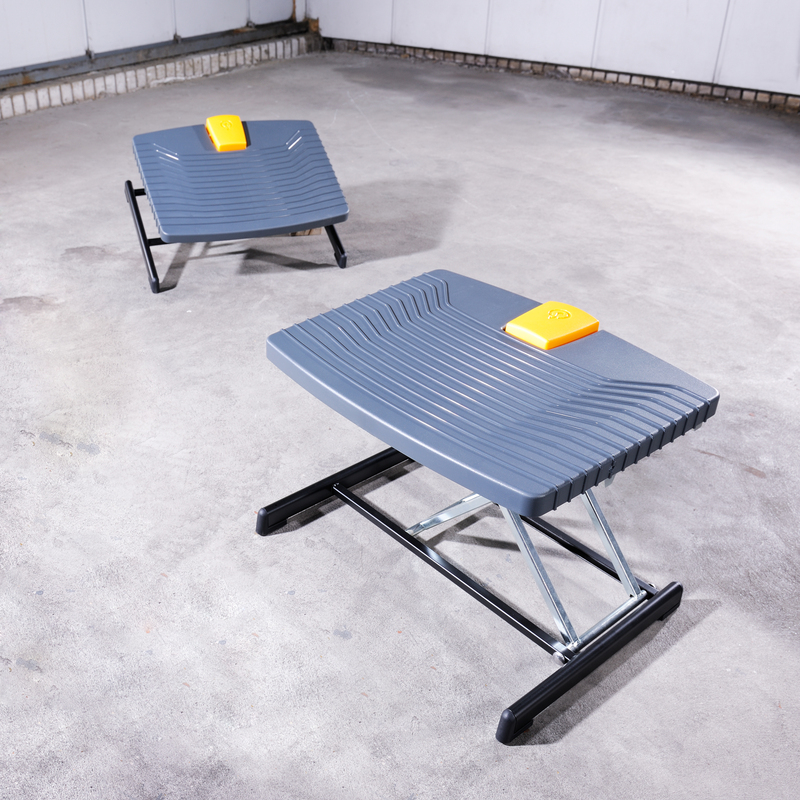 Non-locking, Tilting Platform: The 0°-87° platform tilt range eliminates any need for plantar flexion. The non-locking feature encourages movement at the ankles and promotes circulation during long periods of sitting. Sturdy Construction: The Pro 959 features a rugged metal base and powerful spring mechanism that will stand up to heavy use in a variety of work place settings. Rubber Feet: Provide a stable, slip-free base of support.